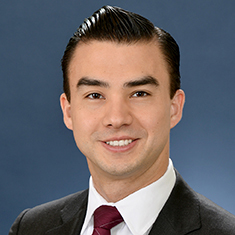 Jason Kelly is an associate in the Litigation group. He concentrates his practice in litigation matters, including trade secret and securities actions. Jason’s experience includes taking and preparing for depositions, engaging in motion practice, conducting oral argument, and leading electronic discovery teams. Prior to joining Katten, Jason was a law clerk to the Honorable Leslie J. Abrams of the US District Court for the Middle District of Georgia. He also was a commercial litigation associate at Kirkland & Ellis LLP, where his practice focused on antitrust and competition matters, consumer class actions, and securities and shareholder actions. During law school, Jason served as a judicial extern for the Honorable Virginia A. Phillips of the US District Court for the Central District of California and as an intern for the Enforcement Division of the Securities and Exchange Commission. Shown below is a selection of Jason’s engagements.